Hey guys! Happy Friday - I hope you're all really well. I'd like to apologise for my lack of posts recently - I've had zero motivation to do anything at the moment due to medication I'm taking. It makes me feel so tired and de-motivated but is also really helping me in other areas so it's a tough one and something I'll be speaking to my doctor about. It upsets me that I'm not 'feeling it' at the moment as blogging is something I enjoy and I want to have that feeling of drive and motivation for it again but I just don't feel like that about anything at the moment - all I want to do is nap. Eeek! 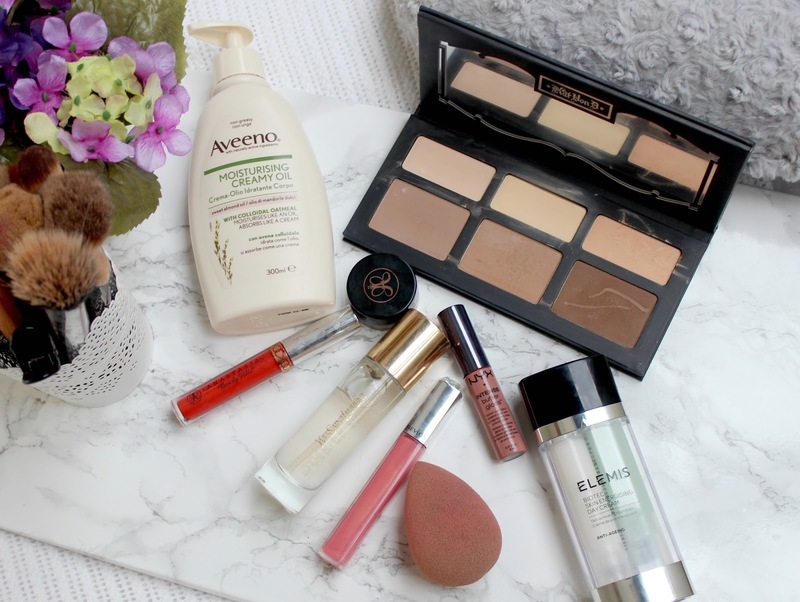 Anyway, despite that slightly depressing intro, I'm finally back with another post (even if it did take me all day to find the energy to write it) and it's my May monthly favourites! I can't quite believe it's June already, where is time going? 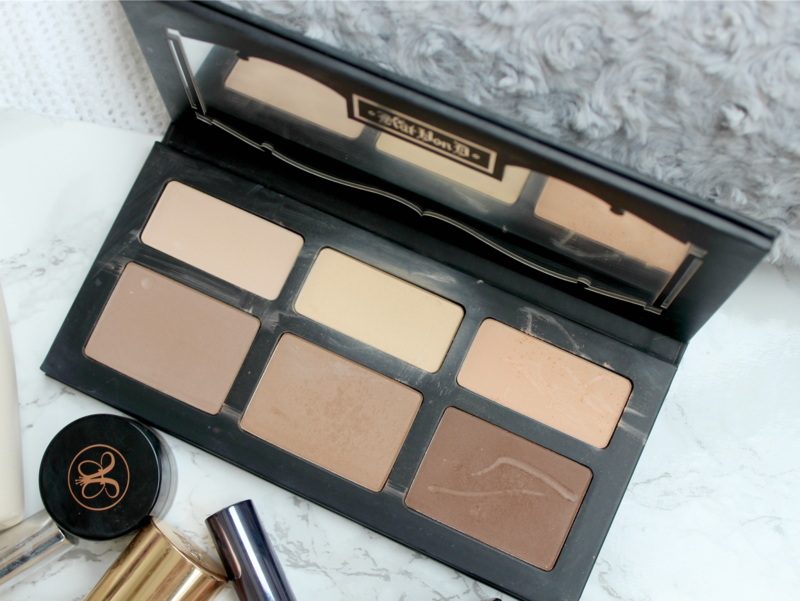 Anyway, here's my recent faves..
Kat Von D Shade & Light palette; As most beauty lovers are, I'm a little bit obsessed with contouring and highlighting so I'm always buying a trying new products in an attempt to give me chiselled cheekbones. For quite some time I was using the Anastasia contour palette and while I do like it, it's not a patch on the Kat Von D Shade & Light palette. I was first introduced to this by my little sister who had got it from my boyfriend her birthday. I obviously had to try hers out and I instantly fell in love. The powders are so pigmented and easy to blend and the best part, they actually work. My favourite two shades are the two in the middle of both rows! The yellow shade is unbelievable - it brightens my face so well and totally covers dark circles. It also looks amazing on photos - total Kim K highlighter vibes. The contour shades are all fantastic too as they're very natural and don't have orange tones so they create what looks like natural shadows on the face. 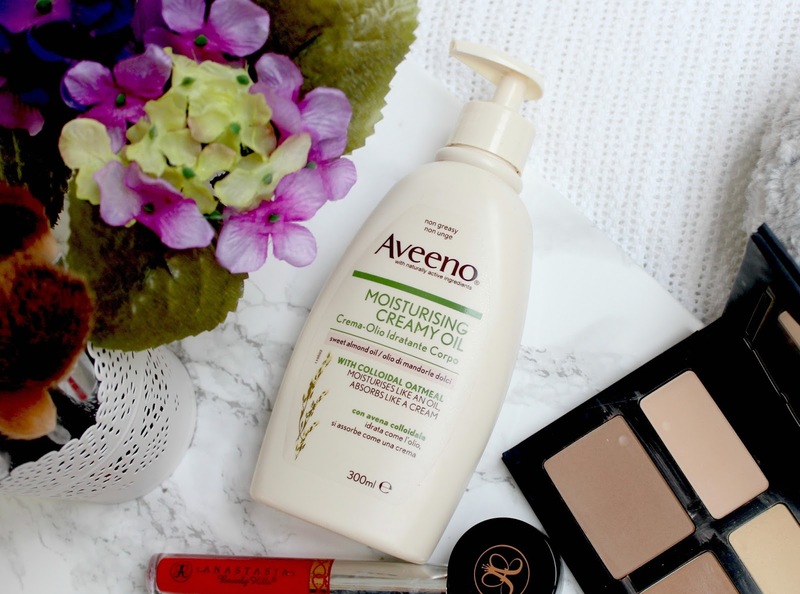 Aveeno Moisturising Creamy Oil; I have to be honest, I'm not someone who moisturises my body on a regular basis. I know I should take care of the skin on my body just as much as I *try* to take care of the skin on my face but you know, it's just one of those things that's never been my top priority. It always feels like a bit of a chore. However, since trying this Aveeno moisturising creamy oil, I've been moisturising a lot more frequently. I think the reason for that is because it's such an easy product to use and it sinks into my skin within seconds so there's no need to stand around waiting for it to sink in. It also feels super hydrating and leaves me skin with a gorgeous glory sheen. I'll never be someone who moisturises their body every day but once or twice a week is better than nothing, right? 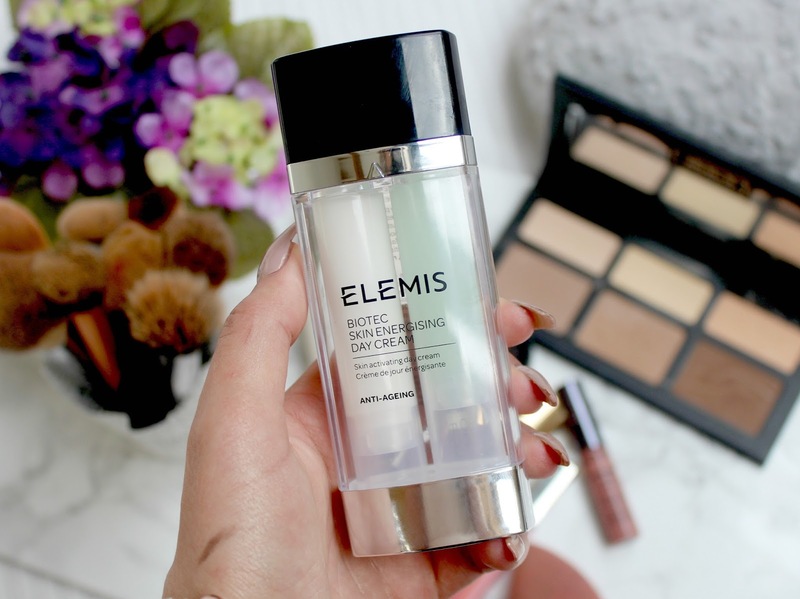 Elemis Biotec Skin Energising Day Cream; I was recently sent this product alongside two others from the same range and I've been really enjoying using them, especially this day cream which I've been using every morning to moisturise my skin before applying my makeup. I won't go into the science of these products as I do intend to do a full review of the whole range soon but what I will say is that this is a lovely moisturiser and makes my skin feel super hydrated after I use it. As with all Elemis products, I feel it's actually doing my skin some good every time I use it. As I said, I'll be reviewing this in full so keep your eyes peeled for that. 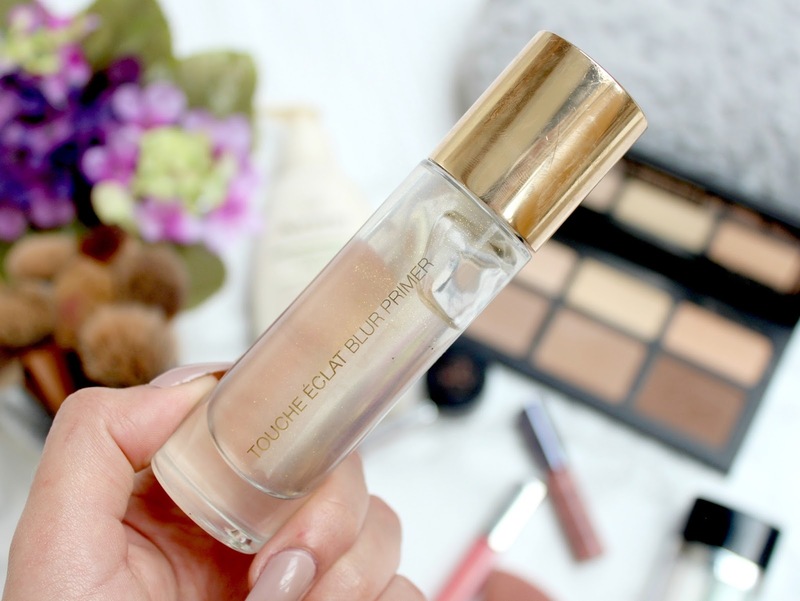 YSL Touche Eclat Blur Primer; Being the idiot that I am, I totally forgot I'd already featured this in my April monthly favourites - oops! With this being said, here's what I had to say about it last time as nothing has changed. At least you guys know it's a firm fave!! This product has been in my makeup collection for months and months now and until recently, I’ve never really used it. That’s what happens when you have makeup coming out of your ears – things get forgotten about and then when you finally try them, you think ‘why have I not been using this until now’. Anyway, this is one of those products. Other than looking absolutely stunning (the glitter running through it is too pretty), this is also one of the best primers I’ve ever used as it makes my skin feels silky smooth and perfectly prepped for makeup. It does have a silicone feel to it so if that’s not your thing, maybe stay away from this one but for me, I love it and my makeup always goes on much nicer when I use it. 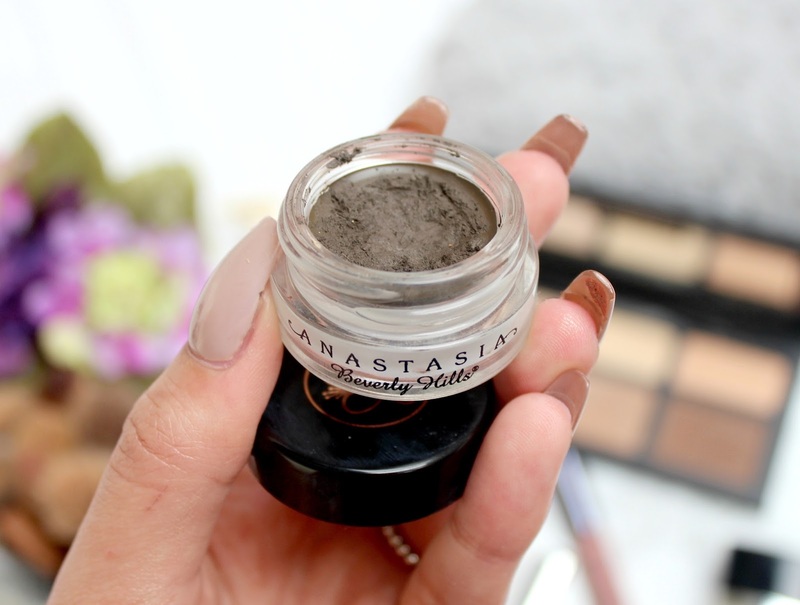 Anastasia Beverly Hills Dip Brow; I'm sure you've all heard of Anastasia Beverly Hills dip brow before as it's gained a bit of a cult status when it comes to eyebrow products - and for good reason too. I use this to fill in my eyebrows every single day and I love the effect it gives. You only need the smallest amount to create a perfect brow that lasts all day long. I use it with the ABH angled brow brush and start by lining the top and bottom of my eyebrows to create a nice shape before lightly filling in the centre and blending the product out at the front. I use the shade medium brown which I find to be the perfect shade for my brows as it's just slightly darker than my eyebrows and has an ashy tone rather than orange which make it look more natural. Anastasia Beverly Hills 'Spice' liquid lipstick, Revlon 'HD Petalite' Ultra HD lip lacquer & NYX Tres Leches butter gloss; Lip products are most definitely my weakness when it comes to beauty products so I'm always trying new ones from my collection. 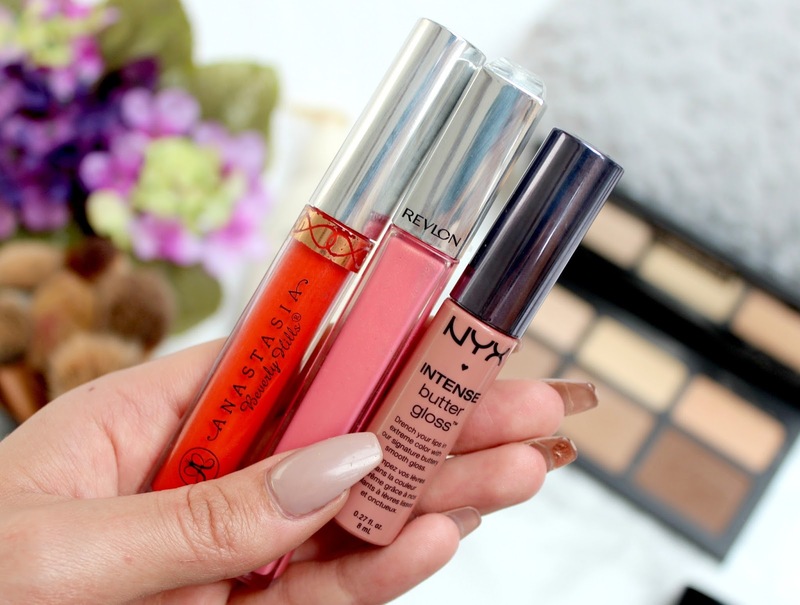 These three have been my favourites at the moment - Anastasia Beverly Hills 'Spice' liquid lipstick, Revlon 'HD Petalite' Ultra HD lip lacquer & NYX Tres Leches butter gloss. I love the pigmentation of the Anastasia liquid lipsticks and the fact they last all night, even when eating and drinking. This colour is right up my street too - a vibrant orange toned red that instantly brightens up my whole complexion. As for the Revlon and NYX products, they've been my go-to neutral/pink shades for the past few weeks. The Revlon gloss is a beautiful pinky coral shade and super glossy with a shimmer through it meaning it's perfect worn over a lipstick or even on its own. I also find it makes my lips look bigger, winning! As for the NYX butter gloss - its a gorgeous rosy pink colour, has amazing pigmentation and a lovely glossy finish. It also smells like Vanilla - yum!! I definitely need to get my hands on more shades in this formula as it's totally perfect. 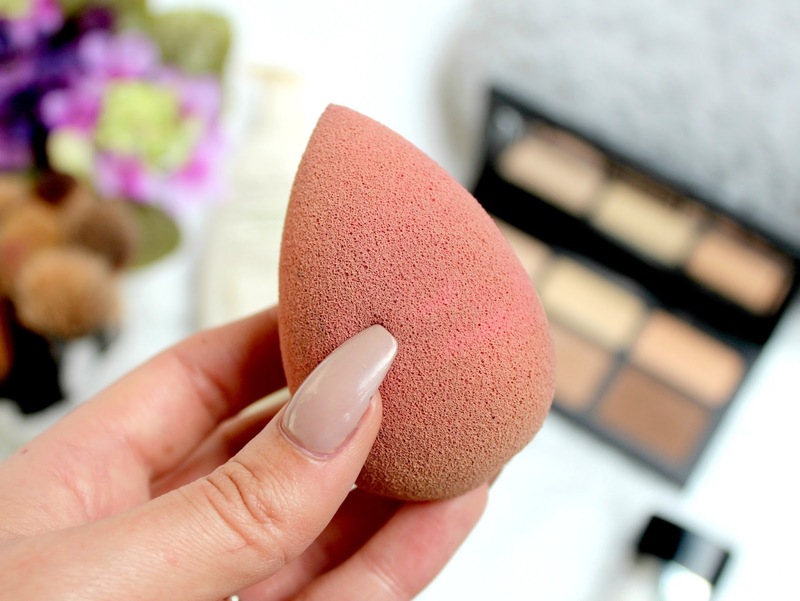 Beauty Blender; I can't even begin to tell you how much I love this look sponge - it's seriously revolutionary. I know I'm super late on the beauty blender bandwagon and I should have listened to the hype a long time ago as this thing has made all the difference to my makeup routine. It was actually my little sister (again!) who influenced this purchase as I used hers one day and couldn't believe how well it applied foundation and blended under eye concealer. I was using the Real Techniques sponge up until that point and whilst it's good, it's not a patch on this one. I don't know how to explain why it's so amazing - it just makes me makeup look much more flawless as it blends products into the skim seamlessly. It does need to be damp when used which can become a bit of a pain so I don't use it every single day but before a night out or special occasion when I want my makeup to look its best, this is a must have. I love the contour palette & ahh dip brow! I also can't live without a beautyblender! Great picks! Im going to NY in November and I can't wait to pick up some Kat Von D goodies, the contour palette looks amazing! I also want to try some of the ABH Liquid Lipsticks, they look gorgeous. I need to try out the beautyblender is sounds heavenly! Good grief, the KVD shade and light is calling my name. I've not seen one bad review! I'm with you on the dipbrow. Took me a long time to try it but I'm completely converted! I need to try that YSL primer! I also can't live without my beauty blender, I don't know how I managed to apply my makeup before I discovered them. 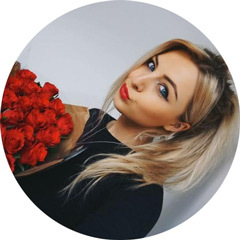 Totally agree about the beauty blender, I only just jumped on the bandwagon too and wish I had sooner, it's changed my makeup routine so much! I love my Dip Brow...It's definitely my holy grail brown product along with the Anastasia Brow Gel. I always thought that the beauty blender was not necessary until I actually pick one up. Now I can't be without mine. I really need to try NYX lip balms, it is time! The NYX butter glosses are amazing I'm obsessed with them! Amazing fav list! Kat Von D palette is something I have wanted for months now! Hope you're feeling okay nothing worse than when you're lacking motivation but I love looking through your posts. The beauty blender how did we ever survive before these?